Outward Bound teaches lifelong lessons for two young women - The Resident Community News Group, Inc. | The Resident Community News Group, Inc.
What do smart young women do when their female elders challenge them to take on the experience of a lifetime? In Marley Barton’s and Olivia Farah’s cases, they accept the challenge and come out of it with confidence, lasting friendships and a lot of memories. 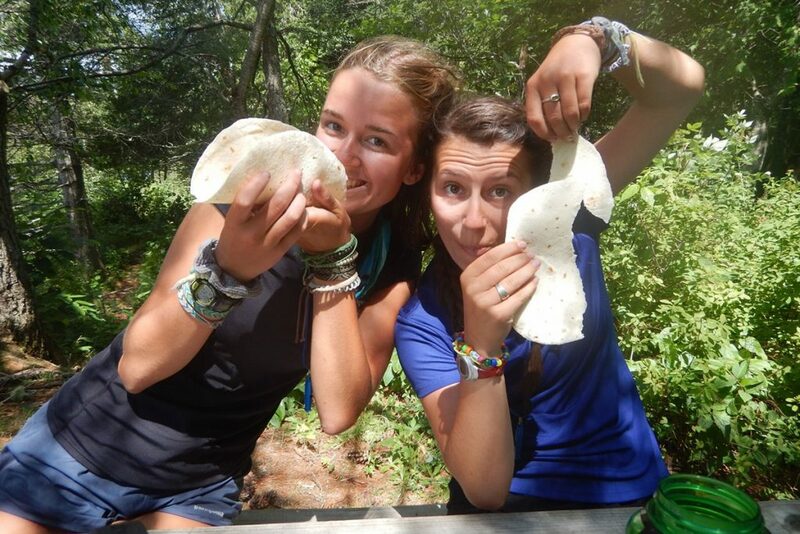 Sophie Hojnacki holds an intact tortilla, while Marley Barton (right) shows off a “defective” tortilla shell during an Outward Bound meal. Barton and Farah chose to participate in their learning expeditions to focus on character development, leadership and service. Outward Bound, founded in 1941, is typically a 15-day program which includes a solo portion. Notable alumni include Tom Brokaw, journalist; Jack Black and Ben Affleck, actors; and, locally, former Jacksonville mayor, John Peyton, Cindy Purcell, Michael Morales, Scott Gallagher, Bill Barnett, Kaki Smith and Brooks Giles. 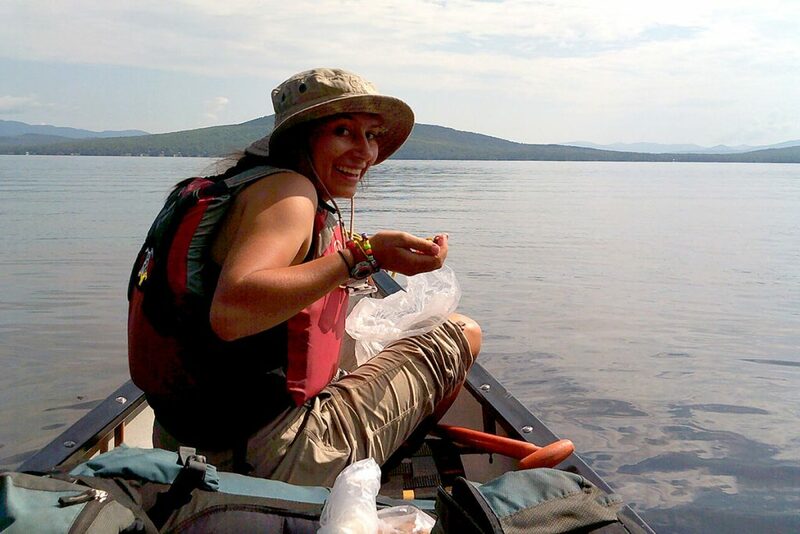 Marley Barton pauses from canoeing to fuel up with gorp. Farah, who completed her course along the Boundary Waters near the Canadian border in late December-early January, learned to navigate a route over frozen lakes, rivers and the portage trails between them, and developed skills in dog mushing, cross-country skiing, ice reading, winter camping and sled dog care. “The coldest it was in my trip was a whopping -40 degrees! However, we stayed very warm,” said Farah, who noted that while her solo night was very challenging, at the end of the day she slept very well and said she was not cold. While their courses were very different, both young women came home with an appreciation for things they previously took for granted. Venturing outside their comfort zones, trying new things and learning to work with a variety of personalities are among lessons learned and shared. “I would say that it’s okay to be nervous and it’s okay to be scared, however the people at Outward Bound have been doing this for so long and they are going to teach you everything you need to know! You might hate it at some points, however, in the end you are going to have an incredible story to tell, along with lasting friendships and memories,” concluded Farah.